View the press release to read all the details. 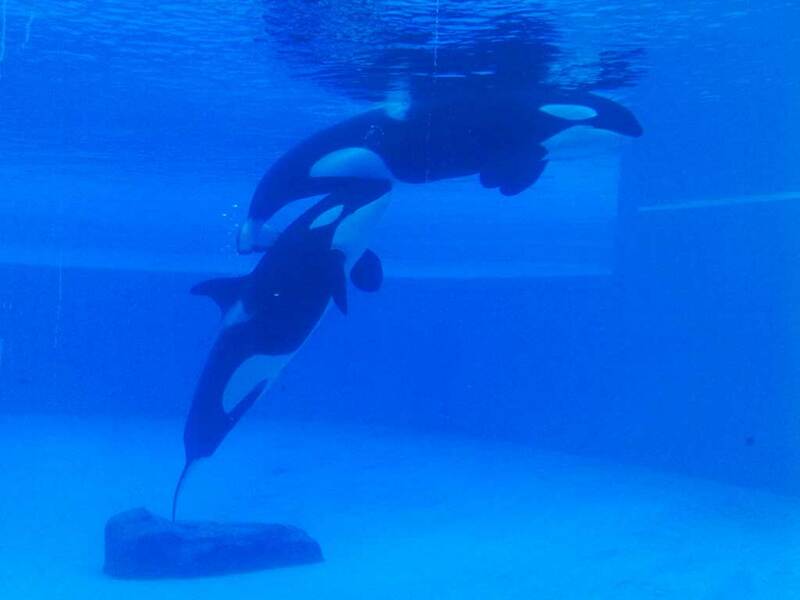 Bring Shouka and Kiska together in Canada! In the United States it is illegal for an orca to be in a marinepark without a companion. Shouka, a 19-year-old female orca has been without a companion for over 6 months. Another female orca, 34-year-old Kiska is in the same situation in Ontario, Canada. Her companion was taken away from her by Sea World over a custody battle in fall 2011. Both orcas would be suitable companions for each other and putting them together would solve both their isolation problems. 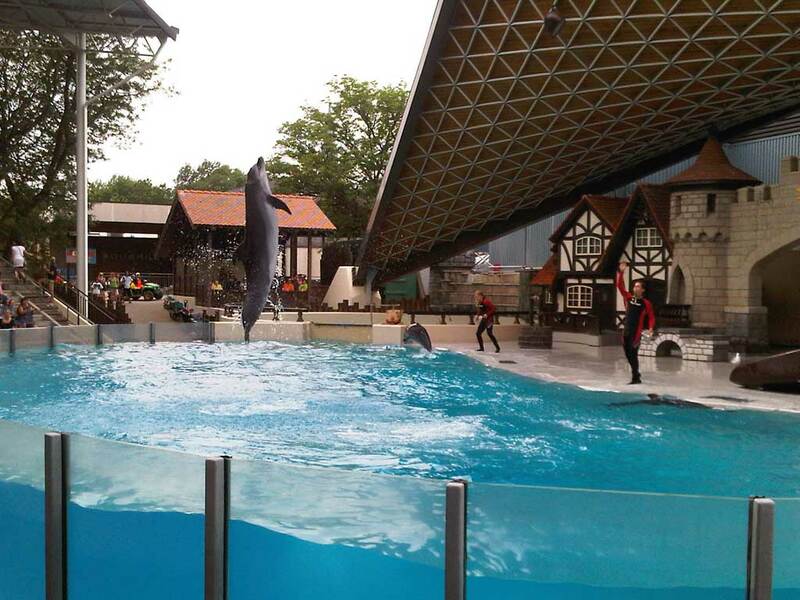 This petition is to get Marineland France to transfer the loan agreement for over to Marineland Canada, where Shouka will have a companion of her own kind and more room to swim than her back tanks at Six Flags. This will also give Kiska a companion. Orcas are VERY social creatures, even in captivity and hate being alone. Both these orcas can (if not already) suffer from health problems due to being isolated, such as stress, ulcers, depression and can even lead to death. There is no way for these two orcas to be released into the wild, but at least let them have each other for companionship. As of the time of this posting, there have been 125 people who have signed the petition. 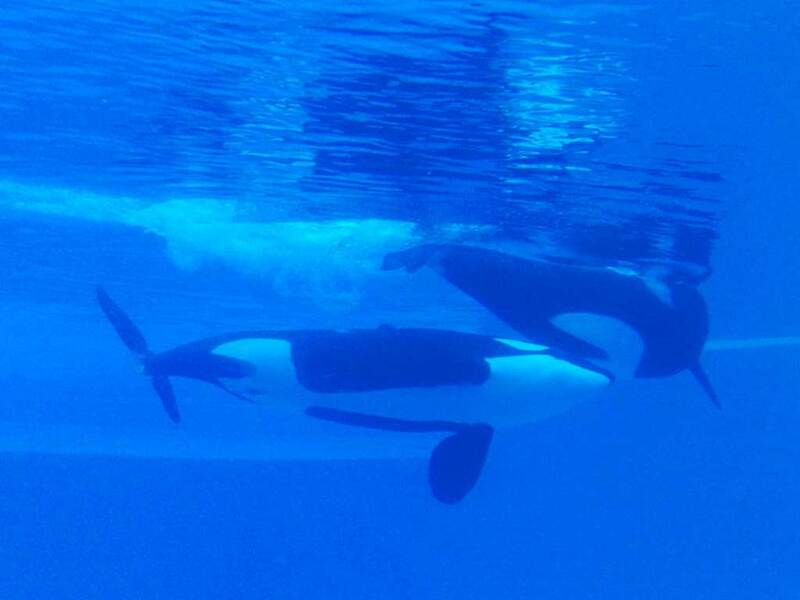 Kiska, Marineland’s only Orca/Killer whale, is pregnant? This was brought to my attention by regular visitor and Marineland fan “D”. I was referred to a news item on the OrcaHome.de web site which claims that Kiska is pregnant, with twins! 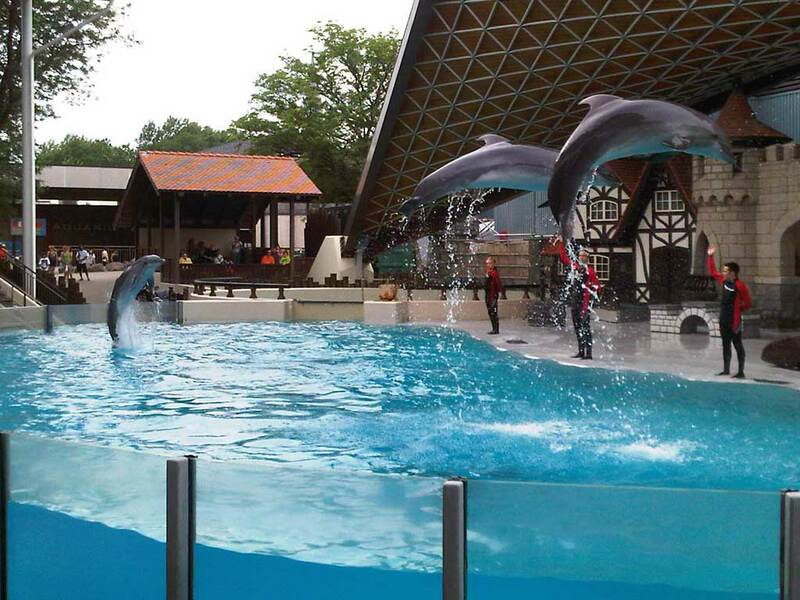 Wow, if it is true, then the employees at Marineland must be ecstatic. 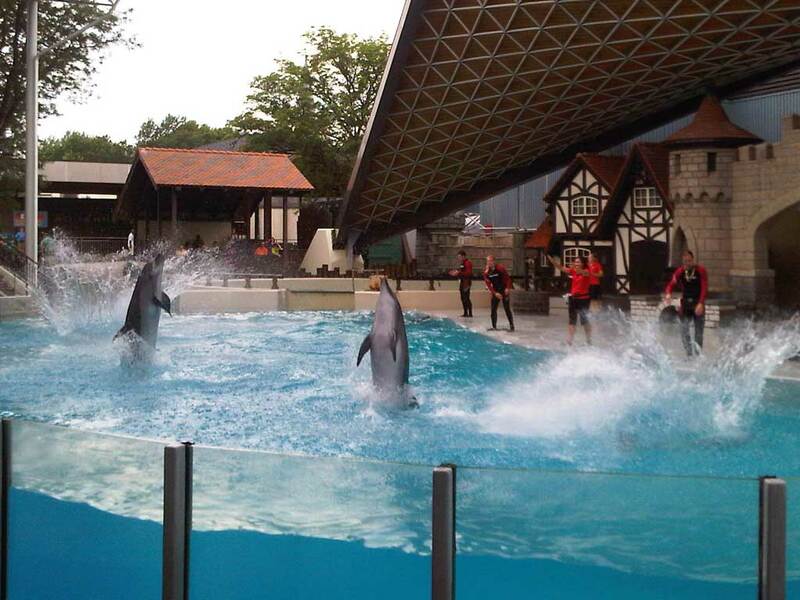 That might also explain why Marineland didn’t fight the court case any further. Kiska will stay at MarineLand. She is due in October-December 2012, as the orca gestination period is 16-18 months. Her calves are both healthy and it’s a female and male, as said by MarineLand vets. Remember, this is just a rumour, and Marineland is notoriously secretive about their animals. It might not be true. The rest of the posts today, and a couple tomorrow will be on the news that Marineland shipped Ikaika back to SeaWorld San Diego. I’ve said it before, and I’ll say it again. If Marineland loses all of their Killer Whales (if Kiska dies), it will be a huge loss! It took a crane and a fleet of transport trucks to do it, but Ikaika the orca whale has returned home from Marineland to San Diego. 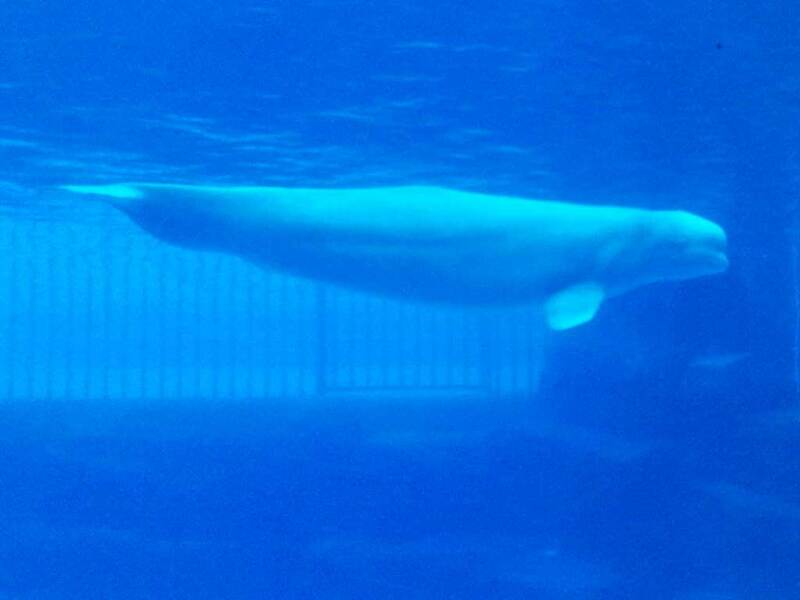 SeaWorld San Diego had loaned Ikaika to Marineland of Niagara Falls, Ont., in 2006 in exchange for four beluga whales. But SeaWorld’s parent company launched legal action last year to secure Ikaika’s return, according to the Niagara Falls Review. The Canadian theme park Marineland has sued SeaWorld Parks & Entertainment in U.S. court, in the latest chapter of an international custody battle over a killer whale. In its lawsuit, filed last week in Orlando, Marineland asks a federal court judge to issue an injunction that would prevent SeaWorld from retaking possession of an 8-year-old killer whale that SeaWorld loaned to Marineland five years ago. Marineland says SeaWorld executives repeatedly assured it that the loan would extend for so long as Marineland was able to care for the whale, which is named “Ikaika” but nicknamed “Ike.” The park, located in Niagara Falls, Ontario, also says the purpose of the loan was to allow Ikaika to breed with Marineland’s only other killer whale, a female named Kiska, and that Ikaika became capable of mating only late last year. Marineland suggests that SeaWorld wants to end the agreement now because one of its few other breeding-age males — a 12-year-old killer whale named Sumar — died last year at SeaWorld San Diego. 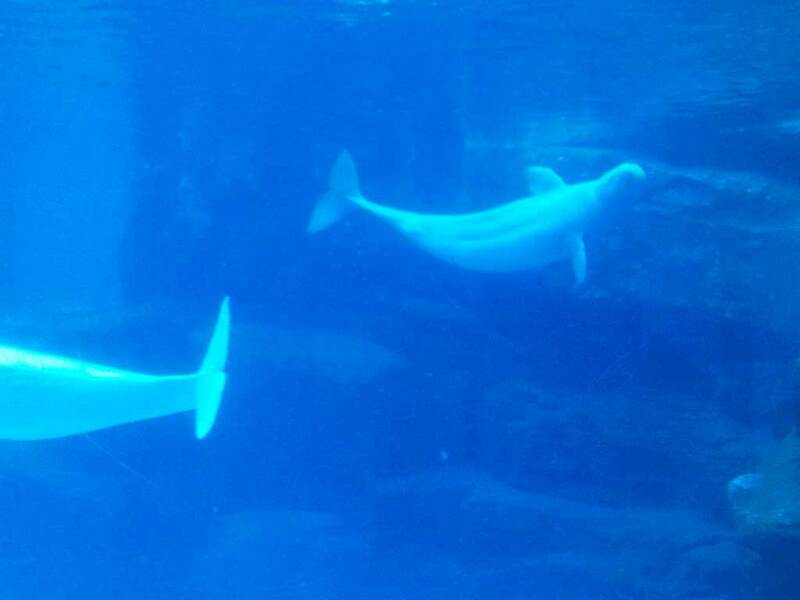 Yesterday afternoon I went to Marineland with my family. We were there a month or so ago, but before that it had been a couple of years. I was surprised at how busy it was on a Tuesday afternoon. The parking lot certainly wasn’t full (if you haven’t been, their parking lot is HUGE), but the overflow area was open, and cars were continually coming in and going out. Since the park was so busy, we didn’t bother to try to go on any rides. We had brought our dinner, and then we watched the show in King Waldorf Stadium. To be honest, we weren’t really looking forward to it as the last several times we’d seen it we were quite bored. Well, sometime in the last couple of years they have updated the show. 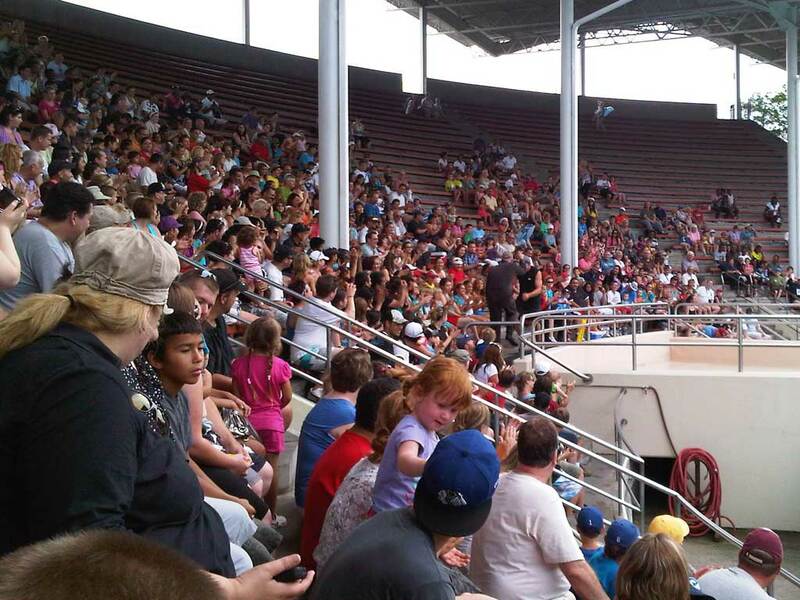 The animals still do most of the same tricks, but the show is funnier and definitely geared more towards the kids. About 15 minutes before the show starts, a guy comes out and is cleaning up the stage. He ends up goofing around, and does a lot to get the crowd involved. Once the show actually starts, he is there for a bit as well. My kids loved it. My daughter was particularly thrilled to see the dolphins. After the show, we got some ice cream and frozen lemonade, and then walked to Friendship Cove to see the Orca whales and the Beluga whales. We just missed the tail end (no pun intended) of the splash show with the Orca whales. This was the first time I had seen Ikaika and Kiska together in many trips. A couple of years ago they always seemed to be apart, and earlier this year they were apart. Not this time. After the show, Ikaika followed Kiska around closely. I didn’t bring my regular camera with me, but I did have my Blackberry, so here are some pictures from the show, and from Friendship Cove. A St. Catharines judge recently ruled he be returned to SeaWorld in Orlando, Fla., where he was born in August 2002. The judge’s ruling focused on legal technicalities surrounding the “breeding loan agreement” between the two parks. Two theme parks are waging an international custody dispute in court – over a 17-foot killer whale. SeaWorld in Orlando, Florida, is demanding the return of Ikaika, a two-tonne, captive-born orca that it sent to Marineland in Niagara Falls, Canada, in 2006. 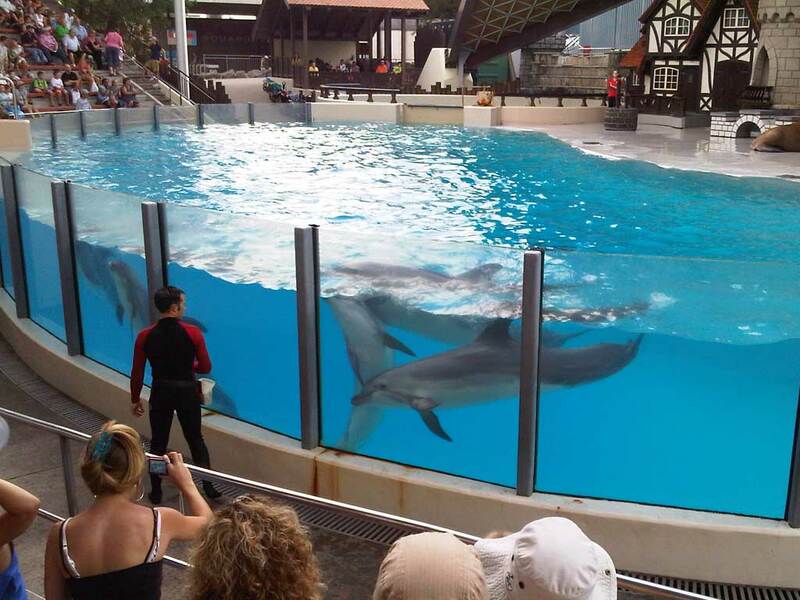 But Marineland has defied the call – and a judge’s order – and insisted that Ikaika stays, dismissing SeaWorld’s claim that the mammal was only a temporary loan and branding the dispute ‘unfortunate’. This is actually one of the longer articles I’ve seen about this. There are also a few nice pictures included with the article.